Learning Without Tears™ is excited to join teachers, administrators and occupational therapists around the world in celebration of Digital Learning Month! The entire month of February is dedicated to showcasing and sharing the impact of education technology on student success. Educators are encouraged to share the programs and methods that have led to increased student achievement and greater interest in learning. Academic professionals are also encouraged to hold special events and schedule lessons that specifically involve the use of technology. On February 22nd, educators from across the globe came together, digitally, to share their ideas for Digital Learning Day. Digital Learning Day was established in 2012 and serves as a platform for sharing examples of effective technology integration in the classroom. It is also an avenue for brainstorming creative ideas on how to decrease the lack of internet access that many students face. Although Digital Learning Day has passed, educators are still sharing their special digital learning activities on social media and the interactive #DLDay Map which features events in the United States and beyond is still available for all to see. Learning Without Tears is continuously committed to working alongside education professionals to improve the learning process through the development of innovative, education technologies. We understand that technology is not a replacement for great teaching, but a tool for better teaching and learning. As a result, we have revolutionized instruction for one of our founding academic subjects, handwriting, through one of our newest additions, HITT: The Handwriting Interactive Teaching Tool™. 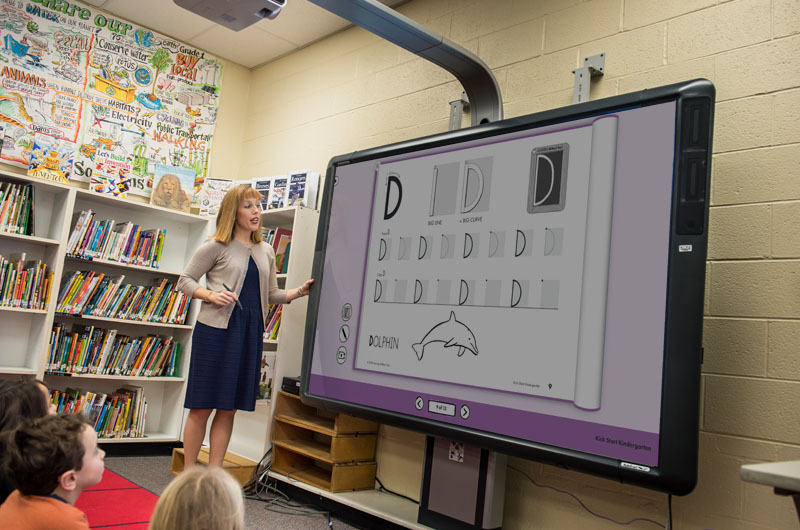 HITT is a digital instruction tool compatible with all interactive whiteboards and whiteboard projectors. It contains an on-screen, digital workbook for letter and number formation along with fun animations, instructional videos and music. A full, digital teacher’s guide is also included. HITT allows educators to spend less time preparing for lessons and more time engaging students. It assists in building successful 21st century confident communicators. Visit our website to learn more about HITT and try it out for your classroom today! Follow our social media channels to see how we’re celebrating digital learning all month long.